"Natura 2000" – Training Workshops and Conference. We will organize 5 one-day training workshops in cooperation with local governments and Local Action Groups (LGD, from Leader+ program). Nowadays the local authorities are facing more significant problem. It is how to execute the plan concerning the Natura 2000 and also take the development (investments) under the consideration. Thanks to our workshops, the local governments will be able to better combine economic development with the nature protection. In 2010 we would like to organize a conference during which we are going to sum up our activity and to present the common actions of local governments and Natura 2000 Network that have been taken during the project. The experts in this topic will be invited to this event. Water Protection – Leaflet, TV and Internet Campaign. Packages from the agri-environmental programs give practical opportunities to make rivers and the Baltic Sea clean. By offering a financial support, these programs encourage farmers to plant and maintain a protective barrier of plants which would protect the waters from contamination with fertilizers. We will prepare and distribute 30,000 coloured leaflets in A3 size to the farmers. Additionally, in agreement with TVP (National Polish TV), we will prepare and then broadcast a 30-second commercial in television and on the Internet. We also support campaign for dietary minerals reduction which is yet another way for us to protect waters. International Cleaning of the Baltic Sea – Poster Campaign and Happenings along with Conference. Waste is one of the problems revealed in the Plan for the Baltic Sea. The International Cleaning of the Baltic Sea (MSP) will be carried out by Our Earth Foundation (FNZ). FNZ will prepare two editions of posters that encourage people to participate in this actions in summer 2009 and 2010. These actions will aim at promoting the protection of marine ecosystems and at paying attention to the issue of clean rivers. Of course they will also have a practical dimension including cleaning the sea and the beaches and removing abandoned fishing nets by divers. Annual happenings and press conferences with the ambassadors of the Baltic States participation (organized as in 2007) should encourage encourage people to take part in MSP. Baltic fish promotion – book publication and movie production. Our society has a very poor knowledge about the Baltic fish. Hence, Our Earth Foundation (FNZ) will prepare and publish a book containing recipes of Kashubian cuisine to popularize fish from our sea. The book will be translated into English, German and Kashubian language and will present the fishermen’s customs and culture. After its publication, we are planning to promote the book in five large Polish cities and invite potential readers to the Baltic fish tasting. 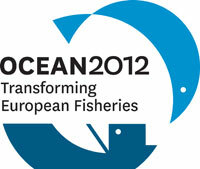 The Eco-Union will conduct a mini educational program about different kinds of the Baltic fish. We are also going to prepare ten 30-second movies which will be distributed on CDs and published on our web site. What is more, we will advertise the movies on the web portals of ecological organizations and schools. Consumer campaign in aid of dietary mineral reduction in sewage – radio and billboard campaign. The campaign aims at encouraging consumers to use the washing powders more economically. Such behavior would improve the river and sea purity. The FNZ will carry out 2 editions of the campaign using 300 billboards and 3 radio commercials. International campaign in aid of balanced fishing- study visit in Sweden and the Baltic NGOs networks' meetings. Polish fishery is facing a big problem with limitations imposed by the European Commission on cod fishing. 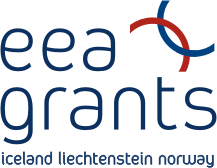 Together with the Swedish partner The Fisheries Secretariat we have planned 3-days study visit in Sweden for people representing different groups (fishermen, local government, scientists, social organizations). It will allow us to gain knowledge/experience about how to maintain balance between harmony of fishery and fish consumption. We will be able to plan resources protection and future of our fishery in a better way. We will also expand co-operation of Baltic NGOs Network. During the project we will have three coordinational meetings in different Baltic countries. They will be devoted to problems such as habitats destroying, the Natura 2000, excessive fishing, eutrophication, touristic pressure. We will translate the protocols accepted during the meetings into English and send them out. The Baltic NGOs Network will stay in in a permanent touch during the project and speak out on sudden events on international scale. External promotion of the project. 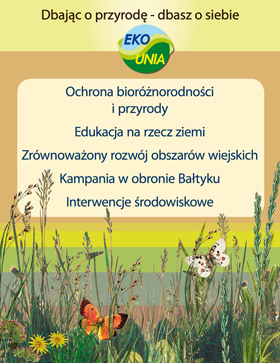 To support our project we created the website which refers to the www.eko-unia.org.pl/baltyk website. We will prepare and distribute e-bulletin every two months. The bulletin will summarize the most important events from our campaign and issues concerning the Baltic Sea. We are planning to organize mass media events like press conferences, briefings, happenings. Seven in total during the entire project.